The specter of “Evita” will surely be top of mind to anyone watching this musical based, as it is, on the rise of Philippine First Lady Imelda Marcos. The work – already done in concert form and released as a concept album – was conceived by David Byrne, who also did the lyrics and collaborated on the music with Fatboy Slim. The plot follows virtually the same trajectory as Tim Rice’s book for the earlier show about the notorious Argentine First Lady, following its heroine from beauty pageant queen to courtship, marriage with an up-and-coming politico (here Ferdinand Marcos), immense popularity, and abuse of her position under a glamorous veneer. Even Byrne’s catchy music frequently carries echoes of Lloyd-Webber ballads and recitatives. 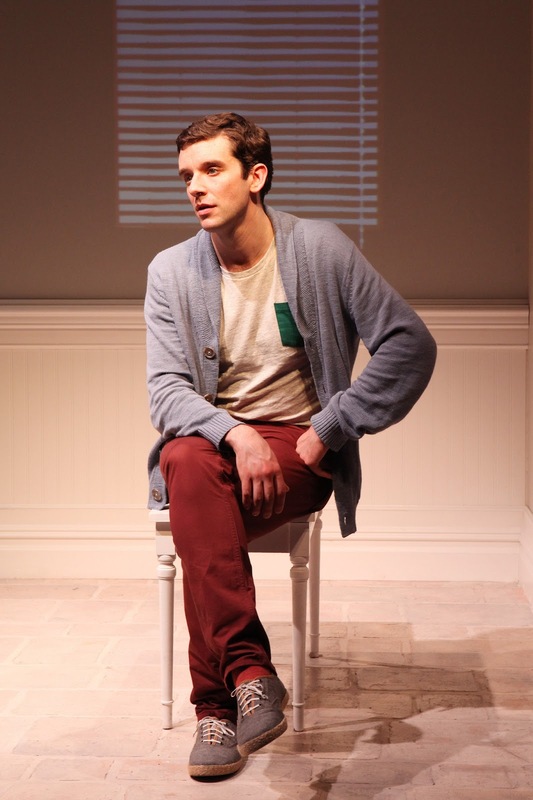 What makes “Here Lies Love” really special is the brilliance of the environmental staging of Alex Timbers (“Bloody Bloody Andrew Jackson”), and Annie-B Parson’s witty choreography. The audience stands throughout the 90-minute show, watching the action on multiple moving stages, around which they are gently guided by a discreet tech crew. The LuEsther Hall space is flanked by two traditional stages at either end, and three moving platforms that are moved throughout the evening to form different configurations. With a pulsating dance beat (homage to Imelda’s love of discos) alternating with some very pretty ballads, there are photographic and video projections (Peter Nigrini), both archival and in-the-moment, as Imelda and Ferdinand come off the stage and move throughout the crowd: their public. Generous use of stage fog and Justin Townsend’s beautiful pink and blue lighting predominates creating a truly immersive, but never off-putting, atmosphere. Clint Ramos’ costumes, too, are a continual source of pleasure. 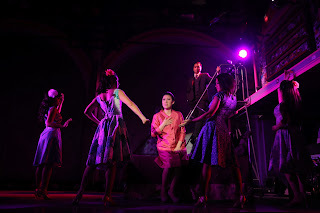 Ruthie Ann Miles is terrific as Imelda aging from eager young girl to hardened middle-age, and there’s strong work from Jose Llana as Ferdinand Marcos, Melody Butiu as her childhood friend Estrella, and Conrad Ricamora as Ninoy Aquino. The sound is on the loud side (earplugs might not be out of line for some), but M.L. Dogg and Cody Spencer’s work in that department is exemplary. LOONY’s two-night revival of Victor Herbert’s extravagantly tuneful “Sweethearts” rates as one of the plucky company’s best outings. Sensitively conducted by Michael Thomas (who did such a sublime job with the company’s production of Herbert’s “Eileen”), and directed ever so resourcefully by Gary Slavin, fresh off his wonderful Blue Hill Troupe “Mikado,” the 1913 operetta was generally well cast. Olga Xanthopoulou, a blonde beauty with a big opera voice, was Sylvia, adopted daughter of a Brussels laundress, If her voice was almost too powerful for the ingénue role, and her characterization lacked the ideal innocence, she did her best to scale back, and adopt the requisite style. Peter Kendall Clark as Prince Franz, heir presumptive to the throne of Zilania, also had powerful pipes though occasionally bellowed his high-lying part, Still he was a manly and stalwart presence. And their duets – “The Angelus” and especially “Cricket on the Hearth” – clicked. Eapen Leubner played the cad Lieutenant Karl and got things off to a promising start with his multi-verse “The Game of Love,” which usually comes late in Act Two. Stefanie Izzo sang neatly as the scheming milliner Lianne, and did nicely with “Jeanette & Her Little Wooden Shoes,” charmingly staged by Slavin, and backed by the three comic opportunists Von Tromp (Jonathan Fox Powers), Mikel (Victor Khodadad), and Slingsby (David Seatter) in clunky wooden shoes. Seatter, channeling Hollywood’s Nigel Bruce, made the most of his big number, “I Don’t Know How I Do It, But I Do.” Powers’ “Pretty as a Picture” was also satisfyingly vocalized. Vera Slywotsky as Dame Paula, proprietress of the laundry and mother of the girls, made a personable narrator, in adapter Alyce Mott’s revised version which adhered to the original Harry B. Smith book in most of the essentials. 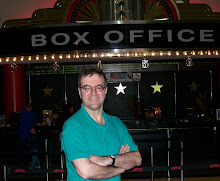 The score was adapted by the late Dino Anagnost. Their adaptation was first heard in The Little Orchestra Society performance in 2005 with much larger forces, but LOONY held its own. The ensemble – Dame Paula’s four daughters and various soldiers – were commendable, impressing in their solo bits, too. When they cut loose for the Act One finale and other ensemble moments, the result was spine-tingling, if a mite too rafter-raising for the intimate Thalia Theatre space. But, as with Ms. Xanthopoulou’s commanding vocals, it’s churlish to complain when the results were so exciting. Dramatically, the performances were a mixed bag with some handling their lines more adeptly than others, but the six-piece chamber orchestra was consistently stylish under Thomas’ direction. The time is 1981, and Mengers, accurately outfitted by Ann Roth, is holding court on her plush sofa (on designer Scott Pask’s sumptuous set) just before hosting one of her legendary all-star dinner parties. She’s anxiously awaiting a call from Barbra Streisand whose lawyers fired Mengers just that afternoon after a long relationship. Over the course of the evening, we learn how Mengers and her parents fled Hitler’s Germany, settled in the United States, how she taught herself English by watching movies, reacted to her father’s suicide (he died of “thwarted dreams,” she says) and how she fell under the spell of Hollywood. Since she didn’t have the talent to be on the screen herself, representing talent became the natural fallback. 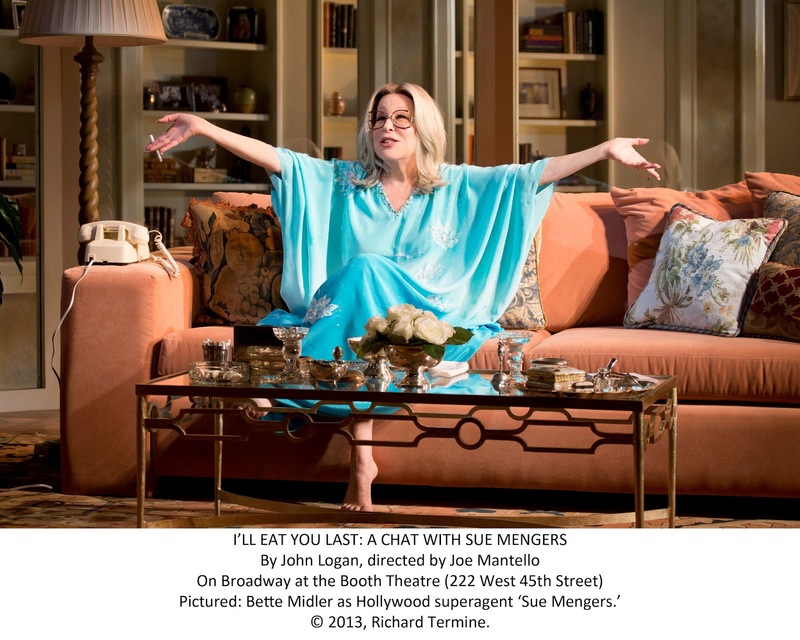 Logan’s script is riddled with big names and deliciously juicy stories which Midler relates with gusto, submerging her usual stage personality, so what we get is not the usual Divine Miss M, but a fully developed and fresh characterization. As this is her first dramatic role on Broadway, Midler’s triumph must rate as significant as that of Tom Hanks this season. Streisand plays a major part in the story. One minute, Mengers is recalling the blazing talent she recognized when the singer was just starting out in Village clubs; the next, she’s using the c-word as she rails against Streisand for not calling and making peace. For all that she berates Streisand throughout the show, she’s in genuine awe of the star’s artistry and taste. Mengers takes the blame for casting Streisand (and Gene Hackman) in the oddball little comedy “All Night Long” (a major flop), directed by her husband Jean-Claude Tramont. Midler’s account of this debacle is another brilliant set piece. Her stories about scoring Hackman his breakthrough role in “The French Connection,” Faye Dunaway hers in “Chinatown,” and the rest are fascinating. She gives a recounting of “Sue’s Golden Rules,” which are, more or less, never blow a deal over money, don’t remind your client of when they were up and coming, never tell the client the truth, and above all, know how the spouse can interfere. That last imperative leads to a particularly touching story about losing “Love Story” star Ali McGraw (of whom Mengers was particularly fond) to Steve McQueen, whom she excoriates in no-holds-barred language. But there’s a rueful poignancy in that story, and several others. Though Midler is sedentary for the evening, the sheer force of her personality – guided by the savvy Joe Mantello – never registers as static. 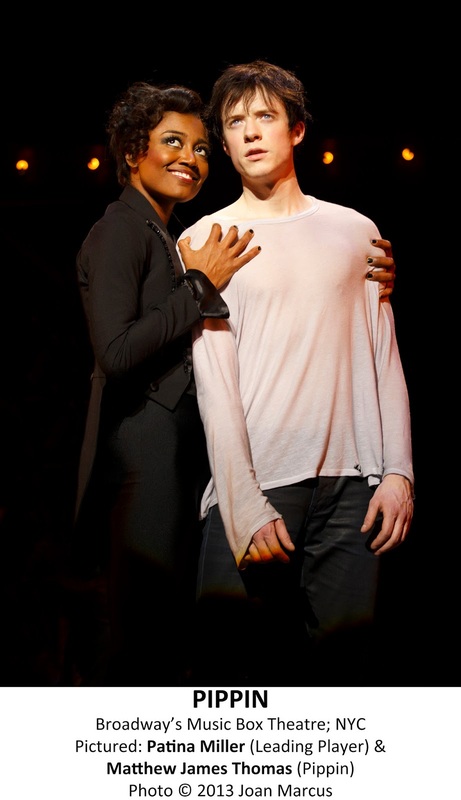 Logan’s material is solid, and though subsequent interpreters of the role will be hard pressed to match Midler’s special qualities, I can think of several actresses – Linda Lavin, Tyne Daly, Judith Light – who could sink their teeth into this role. But, for now, the role is gloriously Midler's, and not to be missed. The operetta fashioned by Robert Wright and George Forrest from the melodies of Norwegian composer Edvard Grieg – hugely popular in the 1940s, and for quite a while thereafter – has always seemed far more old-fashioned than the team’s jazzy reworking of Borodin in “Kismet” several years later. The book by Milton Lazarus – a highly fictionalized biography – is no great shakes (as critics noted from the start), and some of the lyrics, though never less than proficient, are excessively florid. But once the music gets going full throttle, the effect is quite rapturous. Conductor Ted Sperling led the American Symphony Orchestra in a performance that vocally and musically made for a bountiful earful. The Collegiate Chorale, for their part, sounded heavenly. In this telling, Grieg is pals with writer Rikard Nordraak (in real life, a composer himself) and local girl Nina Hagerup, but let’s his head be turned by visiting Italian diva Louisa Giovanni who hires him as her accompanist, with thinly veiled romantic designs despite her married status. The plot is, in fact, vaguely reminiscent of that fashioned by Oscar Hammerstein II for Kern’s “Music in the Air” the previous decade: sophisticated diva sets her cap on a promising young composer from a “purer” rural environment, and brings him to the big city (here, Copenhagen and elsewhere) until he realizes the error of his ways and returns to the "true" values and simple girl back home. In light of her friendship and past professional association with Wright and Forrest, it was wonderfully fitting to have Judy Kaye take the role of Louisa. She nailed the diva role to a tee, and vocally, was in excellent, latter-day form. David Garrison as her husband Count Peppi LeLoup handled his “Bon Vivant” (the most musical comedy sounding number in the score) with skill. 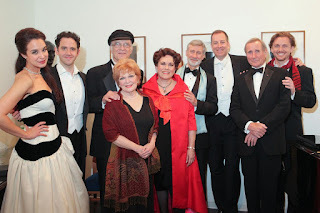 And it was lovely, too, to have veterans Walter Charles and Anita Gillette (replacing Marni Nixon) as Grieg’s parent. Jim Dale narrated Roger Rees’ script amusingly, playing a variety of parts with his customary aplomb. An abridged version of the book was used (thankfully), but what was there was exceptionally well played. Comparing these performances to the arch line readings of the Decca original cast recording, one can appreciate how skillfully this crew handled the same material. As George Balanchine’s dances were such an integral part of the original show, it was fitting that there would be some dancing here, and six performers (Abi Stafford, Sarah Atkins, Abigail Simon, Kelsey Coventry, Ezra Hurwitz, and Amir Yogev) gave spirited performances, neatly choreographed by Tom Gold.